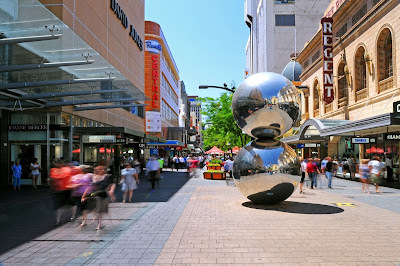 Toop&Toop Blog: Adelaide... so we are popular! Adelaide... so we are popular! What an incredible run Adelaide has received in the international media recently. It is such a compliment that Lonely Planet—the world's largest travel publisher—has just this week ranked Adelaide as one of the Top 10 cities in the world to visit. Adelaide's character Tudors were also recently featured in America's Wall Street Journal; and The New York Magazine this past Wednesday suggested that people steer clear of the eastern states and visit our city instead. 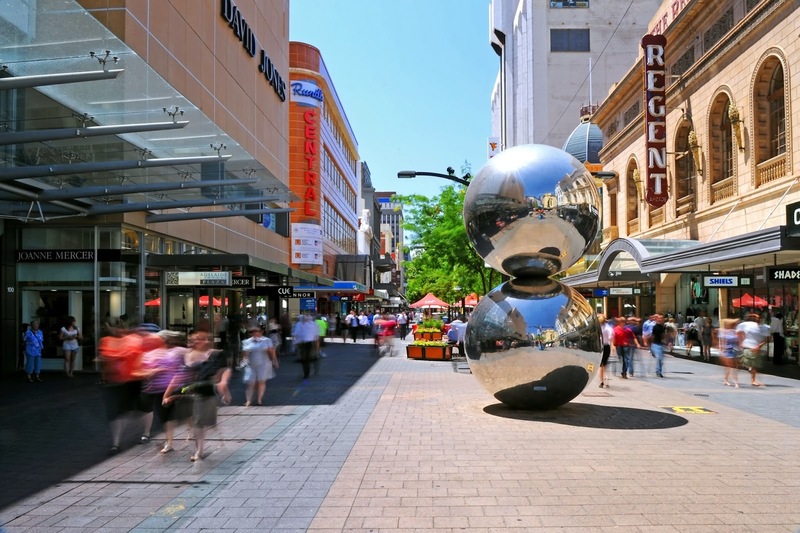 On top of all that, Adelaide has also been ranked as the fifth 'most liveable city' in the world! So, does all of this affect property owners? Yes, it sure could. We operate in a global property market, which has resulted in www.toopglobal.com.au, a dedicated website to cater for the increased traffic from outside of South Australia. Given that pretty much no one in the northern hemisphere seems to that know Adelaide exists, international news of this calibre must create a curiosity factor from millions of people who thought Australia was Sydney. Ultimately, increased interest in finding out about this "quirky place down under" called Adelaide has to be exciting for all of us. We have the most affordable property of all mainland states; our credentials and reputation for magnificent wines is easily established, the fact Kangaroo Island is located right here is terrific (...is it really the home of the Kangaroo? ), and we are blessed to be geographically pretty much dead centre of Australia. My tip is that this is a place that people will want to see, now more than ever. Surely International exposure like this will increase interest in "checking us out"—or maybe I am naïve. What does it matter, now must surely be the best time in years to be investing Adelaide property anyway—the start of the next property cycle seems to be underway, I am hearing exciting mining stories again and we are seeing business and press articles popping up everywhere talking up property. The TV stations are all running property stories again and there is a real buzz out there in "property land". Imagine if Adelaide genuinely gets on the international shopping list! Imagine if just a few extra percent of east coast money comes across our borders! It won't take much additional activity to fire up our market here—supply is as tight as a drum. So what are Toop&Toop doing about this? After all, we are as South Australian as you can get, and proud of it. As always, we are again putting our money where our mouth is. We have set up a special investment team, picked 8 established properties that we feel would be good investments; all normal 'mums-and-dads-type' established properties, all in different locations and different price ranges. Simple and easily understood properties; there's something for everyone. We think busy people need real estate agents to do more of the work for them, and busy people need to not miss this opportunity. For busy people, or those wanting additional support, on Monday night Toop&Toop have our first ever specialist Top 8 Investment Auction. Where: Toop&Toop Hyde Park - 84 King William Road, Goodwood. Who: We have no idea how many will attend, but we have sold two of the auction properties this week (it's already a success!) and replaced one of them. Inspection: This weekend or online. On the night we will also be trialing the first 'Silent Property Auction' where interested parties will register their interest in negotiating on other properties considered suitable for investment. Come and see what you think! Make sure you get there—these properties, we feel, are all worth buying and everyone is welcome to attend. So, it seems Adelaide has suddenly become popular; and property has suddenly become popular again, sounds to me like it's time to buy more property in Adelaide! So, see you 6pm Monday at our Hyde Park office!